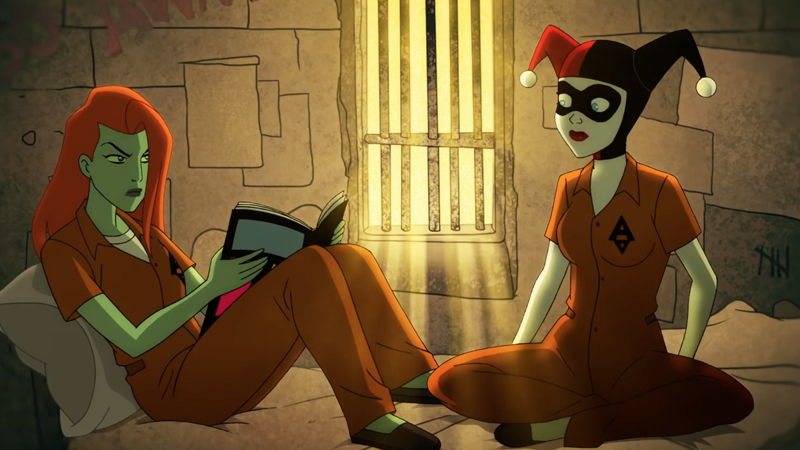 In a surprising move, Warner Bros. revealed the first footage of the animated Harley Quinn series at New York Comic Con, then announced the new voice of the titular villain as none other than The Big Bang Theory’s Kaley Cuoco. Check out the footage in the player below! The announcement came during the world premiere of the highly anticipated TV action-drama Titans. Fans were treated to the terrific Harley Quinn teaser, which was created specifically for NYCC and features a surprise appearance from a certain vigilante, and a number of not-so-subtle digs at Marvel and the DC cinematic universe. It’s actually pretty great. “I’ve always loved animation. I did it years ago, and I haven’t been in the animation world in a while,” Cuoco told Entertainment Weekly. “[Harley Quinn] is so edgy, it’s obviously a very adult comedy, and with such a world-renowned character, it’s been a blast to record.”. If that weren’t enough, Cuoco herself took the stage to reveal the show’s voice cast, which includes Lake Bell (In a World…, Wet Hot American Summerseries, Childrens Hospital), Alan Tudyk (Rogue One: A Star Wars Story), Ron Funches (Powerless), JB Smoove (Curb Your Enthusiasm), Jason Alexander (Seinfeld), Wanda Sykes (Black-ish), Giancarlo Esposito (Breaking Bad), Natalie Morales (Bojack Horseman), Jim Rash (Mike Tyson Mysteries), Diedrich Bader (Veep), Tony Hale (Arrested Development, Veep), and Chris Meloni (Happy!, Law & Order: Special Victims Unit). Choco is also an executive producer on the series through her Yes, Norman Productions alongside Justin Halpern, Patrick Schumacker and Dean Lorey.